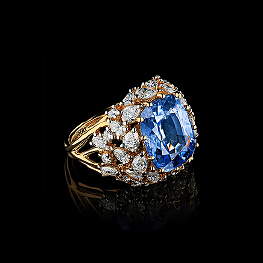 A magic ring worth of a genuine witch is a jewelry dedication to a risky and confident woman. 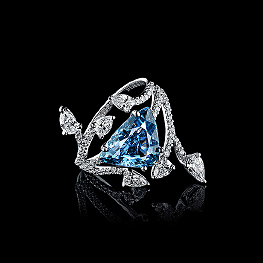 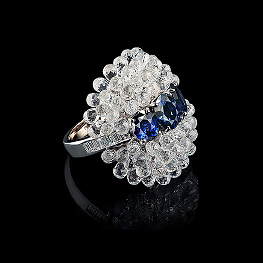 A glorious deep blue sapphire beats in the center of a jewels as a fragile heart. 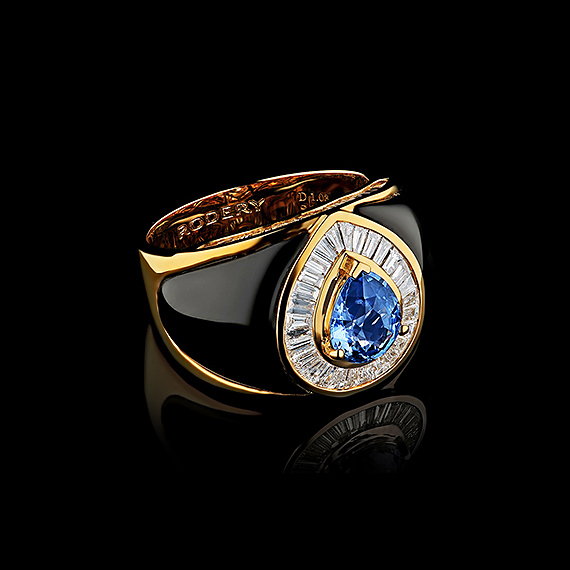 Encircled with black onyx and diamond baguettes sapphire shining an especial light, you cannot avert eyes from. 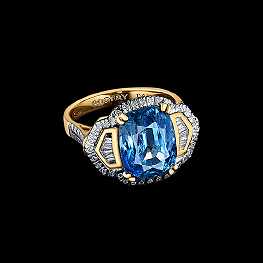 You are literally bewitched by the beauty of this gemstone!